Finding your purpose is not a decision. You watch how you are led, what thrills you, what you would do without getting paid, how the world responds to you, and what you are willing to sacrifice for the experience. Getting on stage was something I did as a child. I was the lead in every play up through high school. I was the lead in the senior musical, The King and I. I went all over the country entertaining the troops in college; on flatbed trucks in the middle of fields, in huge auditoriums on army bases, flying to these places in scary planes. But then I stopped. One day I was humiliated by the band director on stage. He pinched my bottom for the troops. I tried to get over it but I couldn’t. I tried to lead a life without performance. I became Sleeping Beauty asleep in a coffin. In time I became a massage therapist. I gave over 30,000 massages. Then one day a friend called and I asked how he became a writer and I decided I would be a writer too. And one day I started writing about being a massage therapist, and a few years later I was reading my pieces at a poetry reading. And then, out of the blue, the organizers of International Women’s Week asked me to read my stories at their event, and during the next five months, while preparing for that scary night, my one-woman show was born. Each step of the way, I didn’t see it coming. I was un-thawing myself, waking up, coming alive – not suddenly, but at a pace I could bear. Coming alive into your purpose is painful, frightening; you want it so bad. You are afraid to hope that you will be able to do it, but you are driven to do it anyway. The first time I did Bodies Unbound, I was terrified for five months. I memorized the whole show, which took five hours a day for four and a half months. I couldn’t hold still because of the pain of anxiety, so I walked in the open fields during the winter in Boulder in a parka with a fake fur collar tightened around my face, muttering my lines. Icicles formed from the moisture of my words and breath. I walked in a place called Open Space, along a stream with cattle in the pastures, winter trees with bare branches overhead looking like cracks in the sky, my dogs chasing gophers, running like the wind. When I had the whole thing memorized I performed every word of my show with all my heart, for no one but sky, the mountains, the river and trees. They listened intently – the river sang her song over the rocks and the wind accompanied me through the pines, a mournful sound, but so alive. And I was as alive as they were. I felt at peace. The story was mine; my voice, my expression. I was finally as authentic as the mountain and the tree. Their presence told of the experiences that had molded them. I, like them, was my story; it lived in my blood and bones and shaped me into the person that I was. The next night when I performed Bodies Unbound for the very first time before an audience I was so terrified I thought I couldn’t do it. I would have to go on stage and tell everyone who came to go home. But when I walked on stage and faced my audience of eighty people who had come out that winter night to see me, I thought, “I will see if I can remember the first few words.” I did. The audience, like a friendly presence, laughed. With their encouragement I felt more comfortable. There was a person inside me who took over. I call her the Queen. She knew just what to do on stage. She had never appeared at any of my rehearsals. She only came out when she was standing on the stage before an audience. Before I knew it, the show was over. All eighty people leapt to their feet, clapping and cheering. I have performed my show in Boulder, Denver, Los Angeles, New York, Ojai, Santa Barbara, Esalen and at the famed Edinburgh, Scotland Fringe Festival. 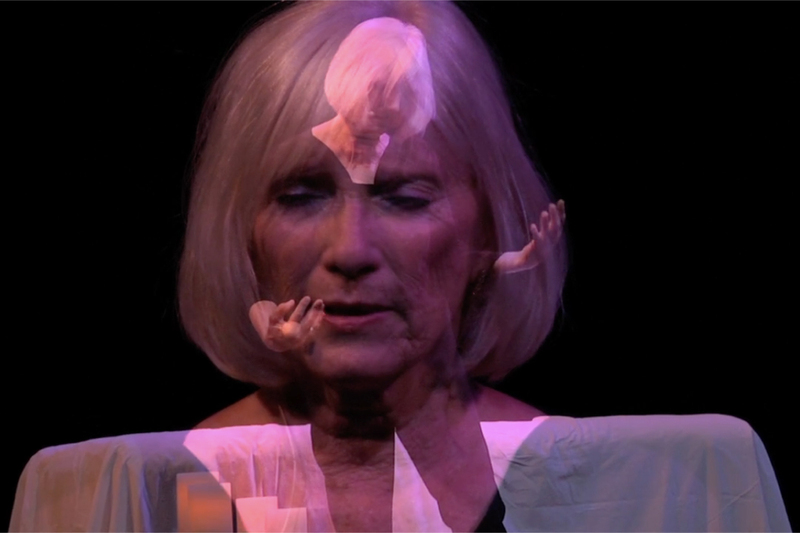 Last weekend I performed Bodies Unbound at the Ojai Storytelling Festival. There was standing room only. It has become easier to perform, but the week before I was still a mess. I am never sure the Queen will come out. I’ve tried to tell her to have pity on the human part of me that lacks confidence.